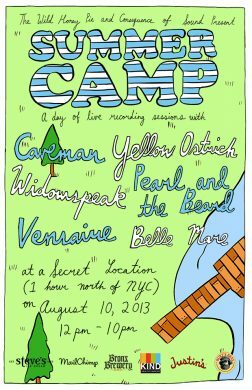 A hundred campers will be randomly selected from a pool of RSVPs to watch bands like Caveman, Yellow Ostrich and Widowspeak perform stripped-down sets, which will be filmed and posted to The Wild Honey Pie. In addition to live music, there will be traditional summer camp activities like arts and crafts, a pool party, volleyball, BBQ, s’mores, and boating (the property is on the lakefront). All of this, somehow, is free. “Reliving a day at summer camp seemed like a fun concept that I haven’t seen done in this way before,” says Eric Weiner, founder of The Wild Honey Pie and Summer Camp. Weiner’s family owns the property where Summer Camp will go down, and over the years he has filmed a few sessions for the site there. 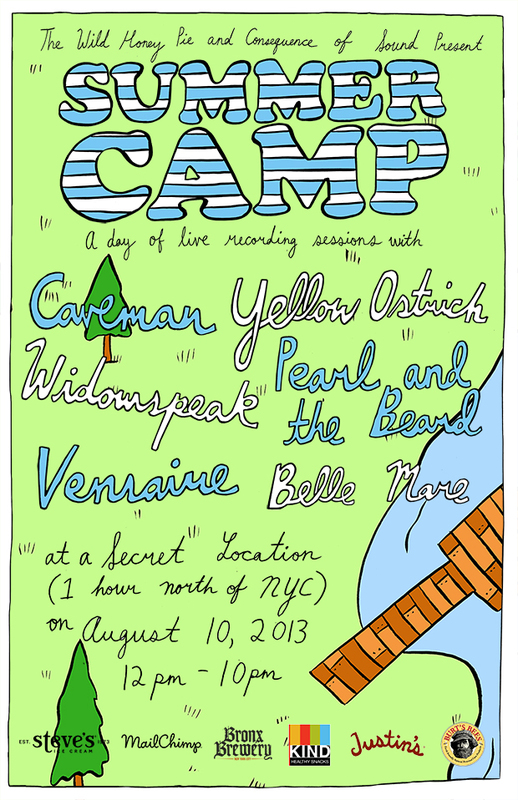 Summer Camp will take place on Saturday, August 10, about one hour north of the city via Metro North. RSVPs are open until the first.